The Kettler indoor bike Racer 3 Biketrainer is independent of power sources thanks to its generator driven magnetic brake (32 resistance levels). The frame is very sturdy, the motion is smooth - the indoor bike is good for regular home training. The Kettler indoor bike Racer 3 Biketrainer has a very stable construction and it can be loaded up to 130 kg. Together with the balance mass of 18 kg for a very smooth training with the Kettler indoor bike Racer 3 Biketrainer - suitable for regular home training. The resistance is generated by a generator magnetic brake system. You can choose between 32 levels $mdash; ideal for building training and ambitious home training. The saddle is vertically and horizontally adjustable for a comfortable, individual training position. The height adjustable handlebar offers a real racing experience. The Kettler indoor bike Racer 3 Biketrainer is controlled by a blue backlit LCD training computer. This offers 12 training programmes, of it one is pulse controlled and another one is a freely adjustable programme. The display shows five values permanently. You can train independently of power sources thanks to the generator technology of the Kettler indoor bike Racer 3 Biketrainer. The indoor bike can be set up everywhere. Exercise on the terrace, when the weather is fine. 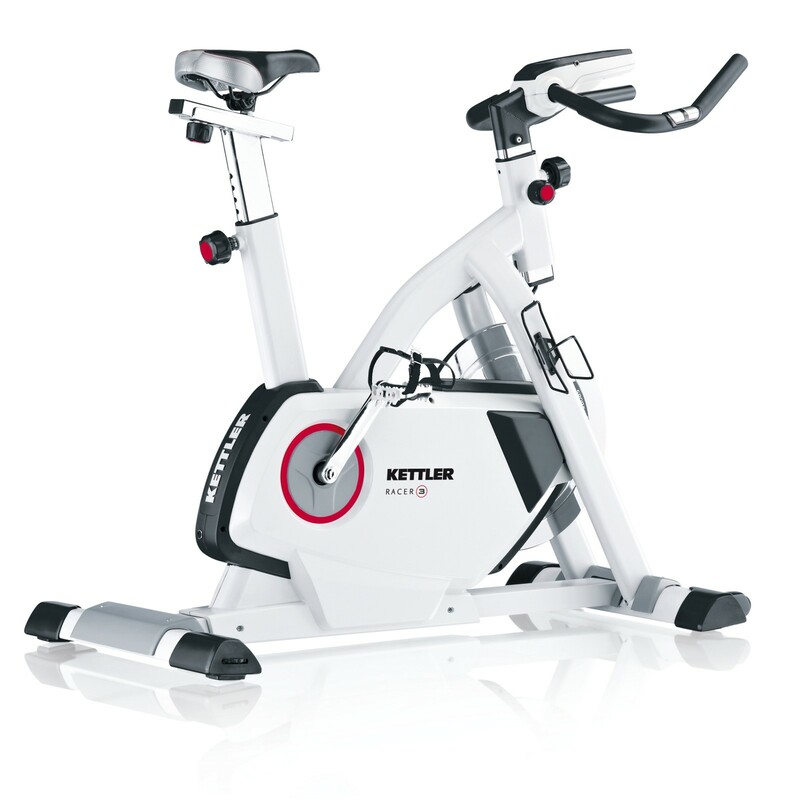 Transport wheels make a quick moving of the Kettler indoor bike Racer 3 Biketrainer possible. Safe stability is also given: this is ensured by a height levelling. Place a bottle in the console post for challenging training sessions. Overall great bike; the only downside is that it is freewheel, which I didn't expect. Excelente bicicleta para casa. Como funciona sin cables, yo hay veces que entreno en la terraza cubierta. Viene con un montón de programas que hacen que sea más variado entrenar. Además tiene un movimiento de pedales muy agradable y silencioso. Excelentes acabados. Kettler indoor bike Racer 3 Biketrainer add to comparison list.